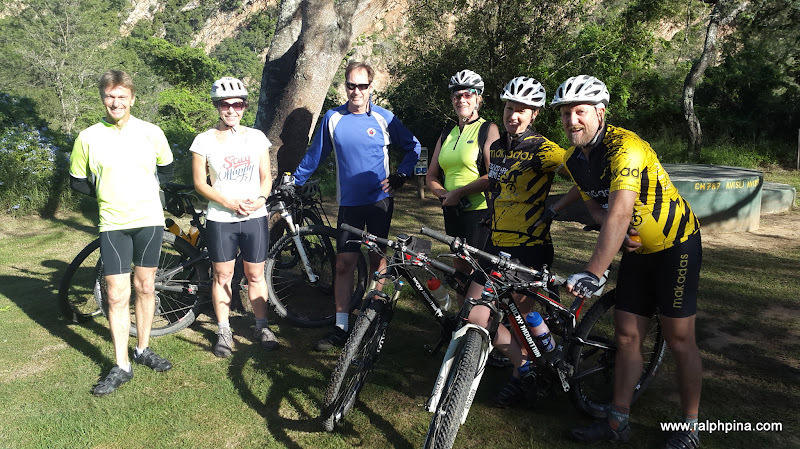 “Epic!” “Unforgettable!” These were some of the descriptions my co-conspirators (5 riders and 2 drivers) offered to describe this 8-day cycle tour along the back roads of the Baviaanskloof and Swartberg Karoo. Almost perfect weather, breathtaking scenery, no crowds, silence save for hiss of wind and crunch of wheels, no breakdowns nor flats, great company, plenty of red wine – what could be better? Day 7: Seweweekspoort, down Bosluiskloof Pass to Gamkapoort – 45 km. 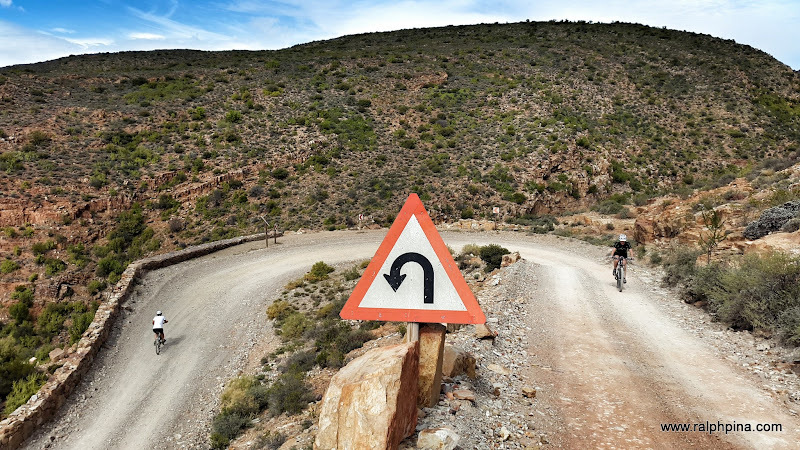 This was the third such cycle tour along the rugged mountains that mark the southern rim of South Africa’s Great Karoo in the last three years. We organised it as a private tour, self-catered, camping mostly, with 6 riders and 2 drivers in two support vehicles. Looks like an amazing trip. Is the Gamkaskloof dam the actual “Die Hel” Gamkaskloof? Hi Andre, the Gamka river and kloof cross Die Hel. It is possible to hike from the dam wall into Die Hel. Not for bikes though.